Location…location…location! When the opportunity presents itself to move to the Orlando area, there are many things to consider. Moving in itself can be stressful. The following information is designed to help you better understand living in the Orlando area. 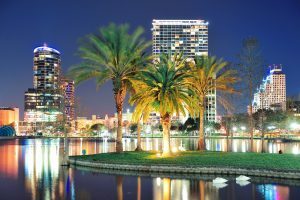 Orlando, mostly known as a vacation destination, has much more to offer than world-renowned theme parks and attractions. For the purpose of this relocation guide, we will consider the “Orlando” area as the 6 counties of Central Florida. 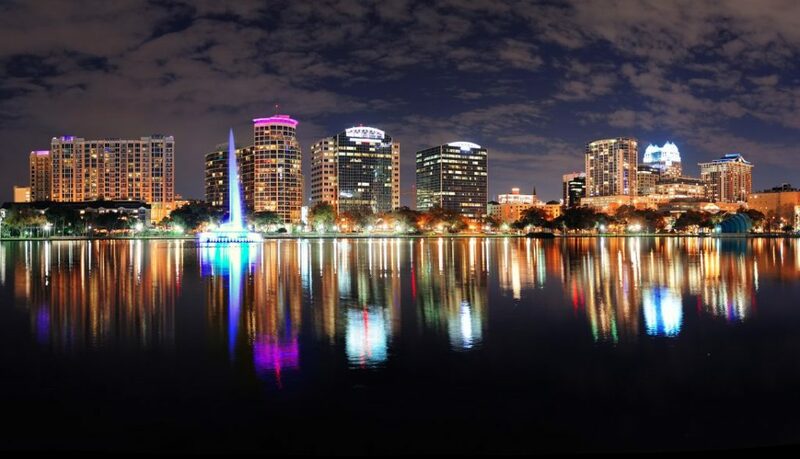 Orlando is located within Orange County and is the hub of the Central Florida region. The other 5 counties considered central Florida are Seminole, Lake, Osceola, Brevard, and Polk County. These 6 counties combined have a total population of about 3.5 million people. The population of Central Florida fluctuates – This is in part due to our Snowbird population. Our Snowbird population are the many people who enjoy and choose to join us for our inviting winters. Orange County is the most populated county – with 1.3 million residents. Brevard County is the longest county – reaching 24 miles along the sandy beaches of the Atlantic Ocean, from Indialantic and Melbourne Beach to northern reaches of Cape Canaveral. Numerous Equestrian Facilities – located in Central Florida. Lake County is home to Eustis, Sorrento, Montverde, and Clermont. In Seminole County, Geneva and Sanford host equestrian areas as well. 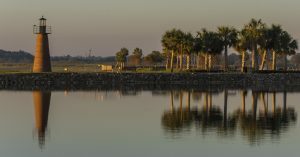 Lake and River Areas available for water skiing, boating, fishing, and waterfront living – throughout the Central Florida region. Lake County is home to Mount Dora, the Clermont Chain of Lakes, and Eustis. The St. Johns River, Geneva, Convey area, Windermere and Vizcaya are but a few of the other lake and river settings available to enthusiasts. 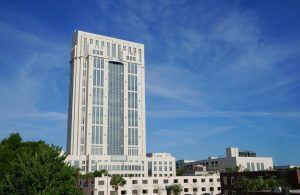 Orange County, with a population of 1.3 million is the business center and job engine of central Florida, meaning there is a thriving job market. Orange County borders Brevard County on the east, and to the west, it borders Lake County. The north side of Orange County borders Seminole County, and on the south end borders Osceola county. There are 17 cities in Orange County, with the major towns being: Orlando, Windermere, Apopka, Maitland, Winter Park, Winter Garden and Ocoee. Each of these communities boasts many outstanding qualities, and are worthy of consideration when considering relocation. The central city in Orange County is Lake Nona. Being an active and accessible community, it is home to many sport and recreational venues. Recently completed, Lake Nona is now home to one of the largest tennis training facilities in the United States. Built by the United States Tennis Association (USTA), it encompasses 100 fully lit courts, 2 championship courts, and 84 additional courts. The University of Central Florida (UCF) is located in Orange County. 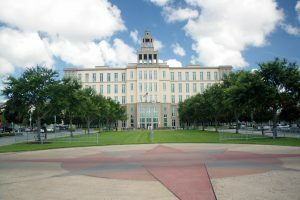 UCF is an emerging preeminent research university in Florida and one of the largest universities in the United States. With numerous campuses throughout Central Florida, the 2016 enrollment included 64,500 students. The main cities within Seminole County are Lake Mary, Heathrow, Oviedo, Sanford, Altamonte Springs, Longwood, Winter Springs, Casselberry, Geneva, and some parts of Maitland. Seminole County is located on the North side of Orlando and reaches all the way to the west side of Oviedo. Seminole County has a vibrant business climate, and therefore enjoys phenomenal growth. With a focus on providing an excellent lifestyle for its residents, much planning is given to greenspaces, exercise venues, and parks. Lake Mary, located just off I-4 and about 20 minutes away from downtown Orlando are very desirable for high-tech companies. Lake Mary also has a direct train connection right into Orlando, and this will soon reach Kissimmee. Lake County, with a population of about 250,000 is the fastest growing county in the region. Stretching from the south-east, bordering Osceola County through Clermont to Mount Dora, Eustis, and into the Ocala National Forrest to the east side of Sorrento (bordering Seminole County), Lake County is a lovely place to call home. There are well over 1,000 named lakes in Lake County. The Chain of Lakes offers just about everything for the boating/fishing enthusiast. Some of the Lakes offer water airplane landing areas and/or host sailing and water-related festivals. The largest Lake is Lake Harris, followed by Lake Eustis and Lake Dora. Many of the lakes are interconnected which allows boaters to conveniently navigate from lake to lake. Mount Dora, located on the shores of Lake Dora is a picturesque historic city with many great restaurants, shops, and walking areas. Mount Dora also offers hilly terrain unlike most areas of Florida which are flat. Clermont is a growing community with hilly terrain, known for the Citrus Observation Tower. Clermont is also known for the Clermont Chain of lakes which encompasses Lake Minnehaha, Lake Mineola, Lake Susan and Lake Louise. Clermont is located just off the Florida Turnpike, making it a short trip to Orlando and its attractions; such as Universal Studios, I-Drive, and Disney. It is also a brief drive to Tampa from Clermont. Osceola County is located on the south side of Orange County and is the Disney corridor. Many of the homes are vacation and holiday homes. Osceola County is in the 4-corner area going south to Yeeha Junction and north to The Four Corners. The Four Corners, also known as Citrus Ridge, is an unincorporated area and census-designated place in the state of Florida. The Four Corners is located at a quadripoint formed by Lake, Orange, Osceola, and Polk counties. 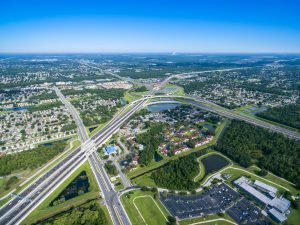 The northern part of Osceola County near Celebration is where Interstate-4 gives you a great connection to the East and West coasts of Florida. Osceola boasts a variety of short-term housing developments which are unique in that you can rent a home for periods as short as one-week to a month or longer. However, short-term housing developments are not typically recommended for permanent residence since there is a high turnover of occupants and the atmosphere is often a perpetual party/noisy scene. Unless you move south of the attractions, into Osceola County the high-volume traffic can be congested and frustrating. The major cities of Osceola County include Celebration (a Disney development), Kissimmee, St. Cloud and Poinciana. Brevard County is located on Florida’s Space Coast and stretches 72 miles along the Atlantic coast. About 540,000 people reside in Brevard County. The main waterway route is the Atlantic Intercoastal Waterway. Brevard is divided into three sections. The northern part of the county includes Titusville, Mims and Port St. John. 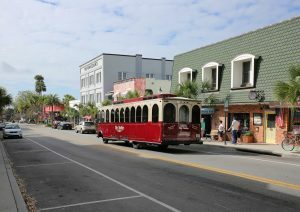 The central part of Brevard is comprised of Cocoa, Rockledge, Merritt Island, and Cocoa Beach. The southern section of the county includes Melbourne, Palm Bay, Grant, Valkaria, and the South Beaches. Volusia County borders Brevard to the north. Indian River County is to the south. Osceola County is to the southwest, and Orange county borders Brevard on the west. Brevard County is home to over 200 parks and recreational facilities, public and private golf courses, and two national wildlife refuges. The national wildlife refuges offer recreational opportunities such as hiking and paddling. 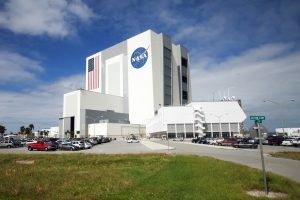 The Kennedy Space Center calls Brevard County home and is the largest employer in the county. Eastern Florida State College and the Florida Institute of Technology are located in Brevard County, as well as satellite campuses for the several colleges, including the University of Central Florida and Embry-Riddle Aeronautical University. Polk County has a population of about 600,000. The largest city in Polk County is Lakeland; with a population of about 100,000. The main attraction in Lakeland are the numerous lakes. The largest lake is Lake Parker. Other notable lakes include Lake Gibson, Lake Morton, and Lake Hollingsworth. Both Publix and Florida’s Natural have their company headquarters in Polk County. Polk State College and Florida Polytechnic University, both public colleges, are located in the county. Private colleges include Southeastern University, Florida Southern College, and Warner University. Polk County is home to several airports including South Lakeland Airport, Bartow Municipal airport, and Lakeland Linder Regional Airport. The county also has two Amtrak stations. One is in Winter Haven, and the other is in Lakeland. Attractions and entertainment are abundant in Polk County. Residents can enjoy the Cypress Gardens Theme Park, Fantasy of Flight, and the Bok Sanctuary. Major highways in Orange County include Interstate-95 (I-95) located on the East side of the state stretching 450 miles from Miami to Jacksonville Florida. Another major artery in Orange County is toll road 408 (also called the East-West Expressway or toll road). On the West side of the state is Interstate 75 by-passing Orlando and connecting to the Florida Turnpike in Wildwood and then continuing North as interstate 75. I-4, which is the major interstate connecting the east coast with the west coast is undergoing a multi-billion dollar expansion around Orlando. Upon completion, commuting from the eastern suburbs to Orlando will be more convenient. The Orlando Beltway goes from Lake Mary, all the way around Orlando, and ends at I-4 on the South Side Disney area, connecting up on the west side all the way up to Sorrento in Lake County on the North West Side. Work is currently in progress to connect in Sorrento. The current exit of the 429 Expressway in Lake County to Lake Mary via the Wekiva Expressway. This is one of the most expensive expressways ever built and is projected to be completed in 2021. Once complete you will be able to drive around Orlando on one expressway. Public Transportation in Central Florida includes the Sun Rail, which runs from Volusia County to Orlando, and soon to Kissimmee. The Sun Rail has stops located in Sanford, Lake Mary, Longwood, Winter Park, and Orlando. This relocation guide is mainly focused on the greater Orlando area. Gitta Sells & Associates has extensive knowledge of other areas as well, and are more than happy to provide information on the areas of your interest. Please contact Gitta Sells & Associates for additional information.